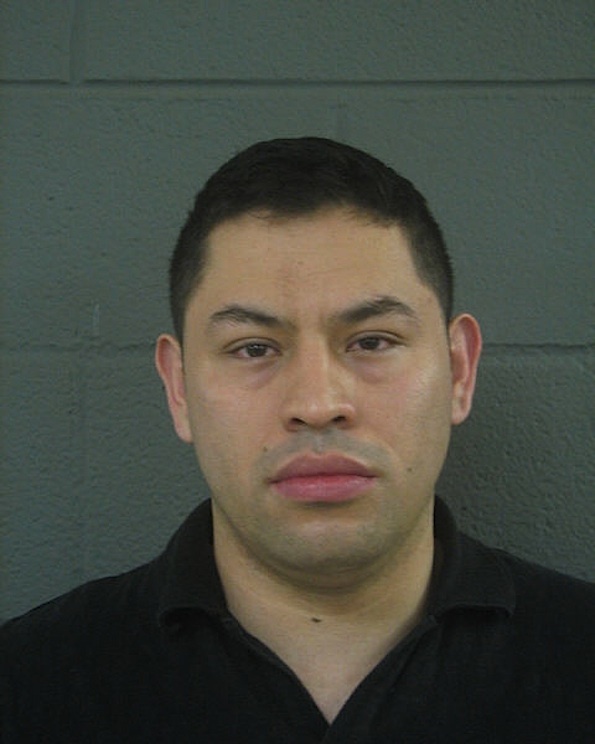 Fernando Gonzalez, Cook County Sheriff Police photo. Bond has been set at $10,000 for a man accused of beating a woman, then forcing her to go with him to church, Cook County Sheriff Thomas J. Dart announced Tuesday. Fernando Gonzalez, 26, of the 9200 block of Golf Road in Des Plaines has been charged with aggravated domestic battery, a Class 2 felony, domestic battery, and unlawful interference with the reporting of domestic violence. He appeared in Skokie bond court on Monday. On March 8th, Gonzalez got into a heated verbal argument with the victim over personal matters, leading him to repeatedly strike her in the head and face. He also grabbed the victim by the neck and choked her. When the victim tried to escape to the bathroom and use a cell phone to call police, Gonzalez snatched the phone and continued to hit the victim. The victim managed to run to the balcony and scream for help. When she did so, Gonzalez grabbed the victim, covering her nose and mouth, and dragged her back into the apartment. He threw her onto the ground and began strangling her again. After the beating, Gonzalez demanded that the victim accompany him to a Chicago church, where he had an appointment with the pastor. Gonzalez had been recently fired from the church based on a prior domestic battery arrest. The victim was able to meet with the pastor alone and confided that she had been abused by Gonzalez. That led to a Cook County Sheriff’s Police investigation and Gonzalez was taken into custody. Officers assisted the victim by linking her with safe havens in her area and steps to file an order of protection. Fernando Gonzalez’ next court date is April 18th in Skokie.